Yes, you read that correctly - there is a place called Bhubaneswar located on the North-East coast of India, that bills itself as the "Miami Beach of India." If that hadn't peaked my interest enough already, there was also the promise of some surfable waves. Unsurprisingly, neither of those statements was close to the truth. The main reason these images are now getting their own post is because they simply look so out of place next to any of the other images from this trip. There is a surrealism to this place that still fascinates me now. 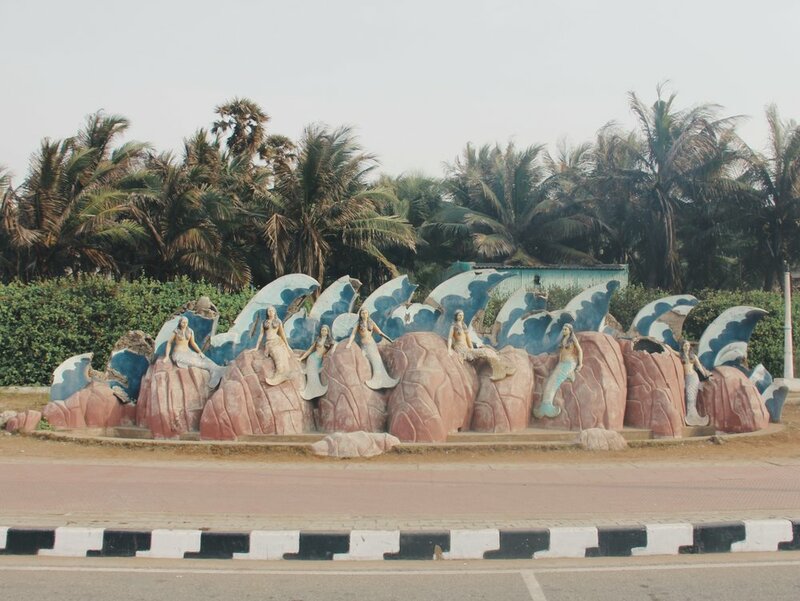 The entire seafront is lined with strange photo-op statues - like this group of mermaids. The turtle building along the seafront. The seafront apartment blocks of Bhubaneswar. Two dinosaur statues having a stand off. Hand painted parking sign for the aquarium. The gorilla statue looking particularly natural on the beach. You can explore my previous Travel Diaries including Spritual Spaces of South India and the Great South Indian Outdoors here. If you want to join me on my a yoga adventure in the Canary Islands visit the retreats page here.